(OMNS, May 24, 2017) The enormous effectiveness of vitamin C in helping to resolve any of a wide variety of infections comes as no surprise to anyone who has made at least a minimal effort to study the large body of peer-reviewed literature addressing this topic. However, the overall number of healthcare practitioners and laypersons who are familiar with the therapeutic capacity of vitamin C still remains relatively small. The established facts reveal that vitamin C has no defined toxicity at any level of intake, is not costly, and alleviates many conditions that remain largely unresponsive to mainstream medicine. When compared to toxic, expensive, and often minimally effective prescription medicines, it should not be difficult to understand why the value and efficacy of vitamin C therapy have always remained unacknowledged, and even suppressed by those entrusted to report the truth. Physicians, medical publications, and the media must always be open to new information, regardless of how it might impact vested financial interests. Recently reported in the mainstream media, both on television and in print, Dr. Paul Marik from the Eastern Virginia Medical School in Norfolk, Virginia had been using a protocol in his intensive care unit (ICU) patients diagnosed with advanced sepsis and septic shock. Sepsis is a body-wide infection that rapidly evolves to a state of low blood pressure (shock) and multi-organ failure due to both the infection itself and the poor blood flow secondary to the low blood pressure. 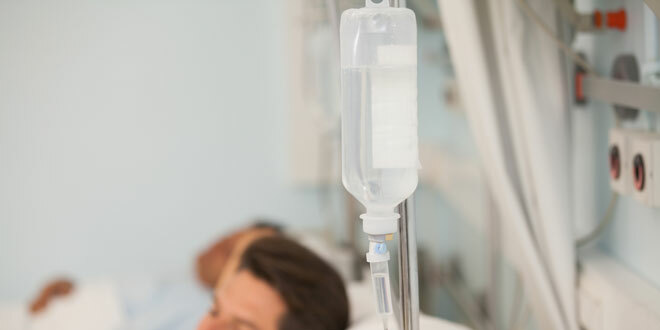 Already aware of much of the literature on vitamin C and infection, Dr. Marik decided to try intravenous vitamin C (IVC) along with some hydrocortisone and thiamine, on a 48-year-old woman dying of septic shock in his ICU in January, 2016. In Dr. Marik’s own words, he asserted that “I was expecting the next morning when I came to work she would be dead.” He then added, “But when I walked in the next morning, I got the shock of my life,” as the patient was strikingly improved, subsequently proceeding smoothly to a complete recovery. Dr. Marik, a principled physician who was not going to deny what he and his staff had clearly witnessed, then proceeded to institute his vitamin C/hydrocortisone/thiamine protocol on 47 more consecutive septic patients over the next seven months. He compared the results he achieved with these patients in a retrospective manner with a control group of septic patients treated without his new protocol during the prior seven months, simply looking at the outcome of survival. Furthermore, Dr. Marik also noted that all four of the treated patients who died did not die of sepsis-related shock, but from their underlying conditions. Since this study, Dr. Marik has increased the number of treated patients with severe sepsis and septic shock to 150, and only one from that group went on to die from the sepsis itself. Moving from a 30-50 percent mortality utilizing standard treatment protocols for sepsis to achieving a sepsis-related mortality of less than 1 percent using IV vitamin C/hydrocortisone/thiamine therapy in this small treatment group is nothing short of miraculous. If a new drug were developed that could produce these astounding results, it would be labeled a miracle drug. In a recent interview, Dr. Marik offered the following observations: “In the doses used, vitamin C is absolutely safe. The package insert lists no complications, side effects or precautions. Patients with cancer have safely been given doses up to 150 grams – one hundred times the dose we give. In the patients with renal impairment we have measured the oxalate levels; these have all been in the safe range. Every single patient who received the protocol had an improvement in renal function.” (Emphasis mine) So much for the never-ending assault on vitamin C as representing a threat to the health of the kidneys. Dr. Marik also went on to comment on the complete safety of the hydrocortisone doses used in the protocol, as well as on how inexpensive the total protocol was. Dr. Marik also made the point that critically ill patients have either very low or undetectable vitamin C levels in the blood. This alone would always justify the administration of vitamin C. A scientifically sound argument can be made for the septic patient ultimately dying just because of this profound lack of vitamin C remaining in the body. Also of note, Dr. Marik used a vitamin C dosage of 1.5 grams IV every 6 hours for 4 days or until discharge from the ICU. Much larger doses of vitamin C have been proven to be just as safe as this dosage, and increasing the dosage of vitamin C should always remain an option if the patient does not promptly improve, or even continues to deteriorate. When a treatment is very expensive, significantly toxic, and/or questionably effective, a legitimate medicolegal argument can be made to withhold such a treatment. None of these considerations apply to Dr. Marik’s cocktail of vitamin C, hydrocortisone, and thiamine. Even if subsequent studies show less dramatic results than those achieved by Dr. Marik in his series of septic patients, there is no defense a physician can offer, other than arrogance and pride at being “told” what to do, to withhold this treatment from a patient dying on the ICU and not responding to traditional antibiotics and supportive therapy. To be perfectly clear: There can never be an argument that Dr. Marik’s protocol is supplanting or replacing any other indicated treatments. And even if there continues to be debate over how effective Dr. Marik’s protocol might be for sepsis, along with the typical clamoring for “more studies” to quantify that effectiveness, there can be no reasonable debate that any patient should be denied the opportunity to be given an inexpensive and nontoxic therapy – especially when a high chance of death is looming in only a few days or even in a few hours. When something is cheap and nontoxic, you don’t have to wait years for “definitive” results. Medicine loves being sophisticated and well-defined, but sometimes just knowing that something won’t hurt you while often working is all that is really needed. Bottom line: If you have a family member dying of sepsis on an intensive care unit, demand that Dr. Marik’s protocol be immediately instituted. If you are denied this option, make sure your physician understands that immediate legal action to initiate the therapy will ensue, and that the death of your loved one will assure the initiation of a malpractice suit against him/her. However, only sue the physician in charge, as physicians have a herd mentality and are scared to death of being the sole focus of a malpractice suit or medicolegal challenge. Levy TE. Curing the Incurable. Vitamin C, Infectious Diseases, and Toxins. MedFox Publishing, Henderson, NV. Medfox Publishing; 3rd edition (2011). Reviewed at http://www.doctoryourself.com/levy.html . I had no idea the benefits with VitaminC IV use was so important. Great information. Very supportive in our own use of the Vitamin C supplement. Thank you for this blog. It is amazing that vitamin C can make such a difference in a person’s life. It sounds miraculous how it helped the people who were dying. I’m glad I’m using HA Liposomal Vitamin C.